← Map of the Month: Profantasy Competition Winner! The March Annual issue is all about Map Projections, which normally implies that you’re starting with a globe!! In the last post on this topic I talked about how small and insignificant my Tolrendor ‘World Map’ was when placed on a ‘globe’ sized map. It covers an area of approximately 3500 by 2800 miles … when the full size world (when extrapolated out based on latitude etc.) has a circumference of almost 24000 miles!! This means there is a huge proportion of Tolrendor that is currently completely uncharted … and therefore pretty boring for any sort of map projection. 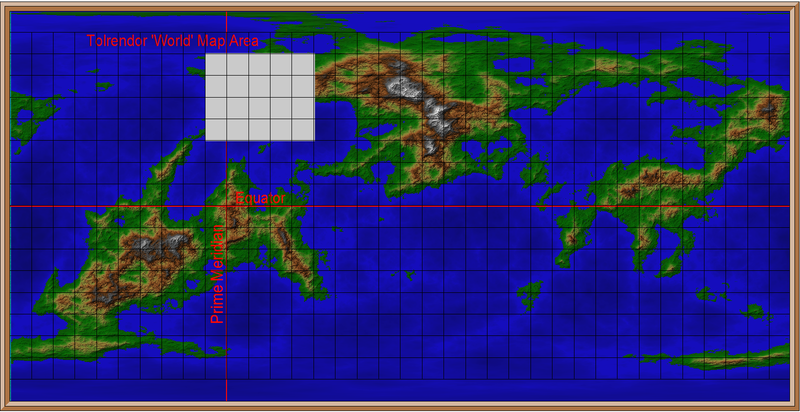 To fill in the blanks, I decided to have a play with Fractal Terrains, another product from Profantasy. By setting a few parameters, this software can generate realistic looking worlds in seconds. Once you get the hang of it, there are a bewildering array of options to play with. A simple click creates another of the infinite worlds! 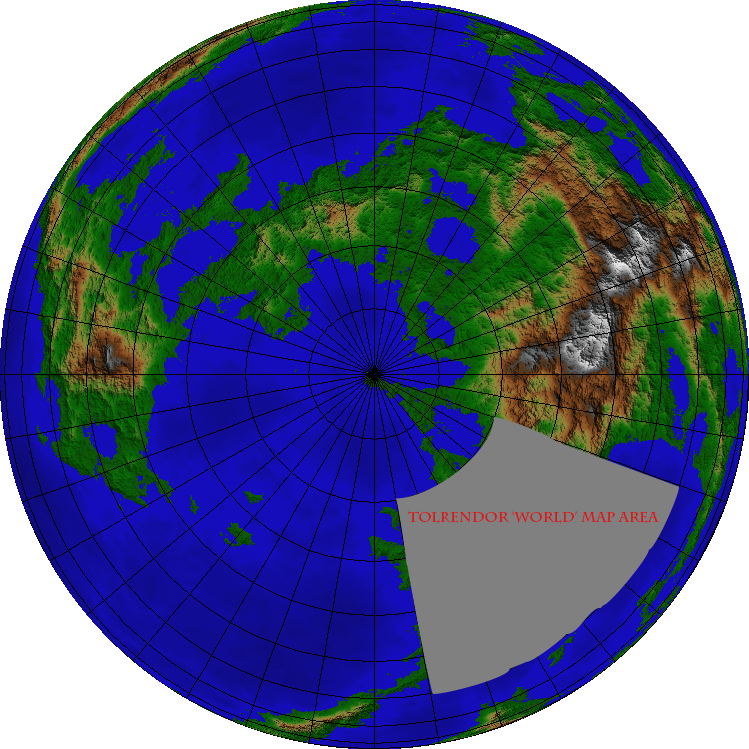 This suits the concept that my main current campaign area (i.e the World Map area) is the western-most tip of the world’s main continent, and is largely European in inspiration, whilst leaving plenty of scope for more exotic lands to the south and east.